The Renlita S-500 Liftaway is a vertical opening solution that can be used in a variety of different applications in residential, retail, commercial, or industrial uses. The single leaf S-500 counterweight balanced door system offers a variety of glass, cladding materials and customizable features to exceed your design expectations while using minimal jamb space. S-500 openings can be hidden above OR below the opening for a clean, elegant look. Whether it is a wall of glass or operable wall, the S-500 Liftaway Door system will showcase your building. 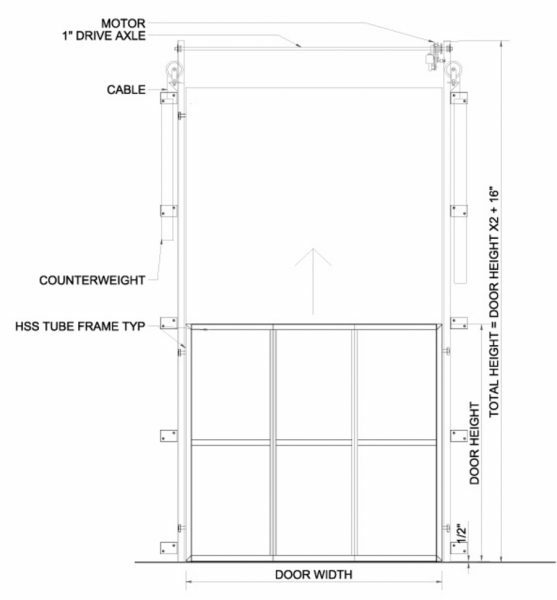 See if the Renlita S-500 Vertical Liftaway Door is right for your project. Vertical Liftaway Door systems are suitable for residential, commercial, and industrial applications. 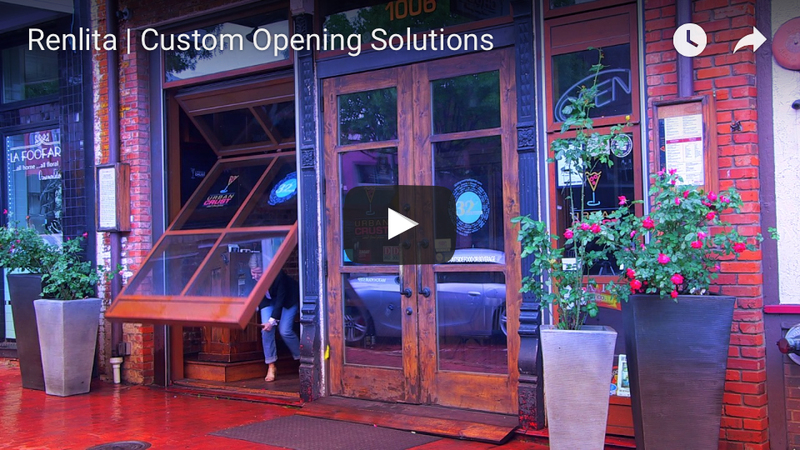 Each Liftaway Door system is custom engineered and fabricated to meet customers design objectives. Minimal amount of jamb space is need for this type of door system and entire structural load is carried at the jambs. No attachment to the header. When opening, the door raises straight up to a designated height. Dimensions of the doors vary according to application and cladding materials. Mathematical calculations are completed to ensure proper balance. Door can be either manually operated or motorized.